It is hard to name another creative team that has repeatedly hit the mark as many times as Pixar. Each and every year, this animation studio rolls out another film that not only rivals any animated film released to compete with it, but has the cinematic credibility to stand toe to toe with most live action films as well. 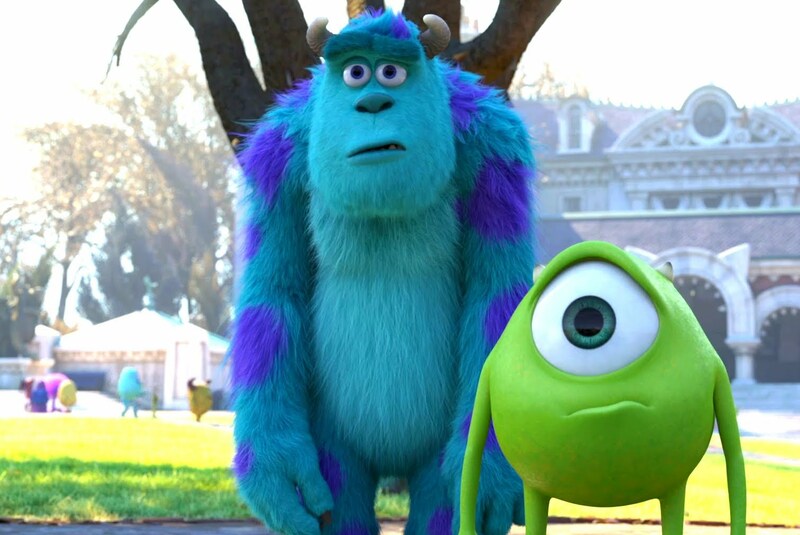 Disney/Pixar's latest offering is a sequel to the hugely successful Monsters Inc. Pixar proved that they could produce a successful sequel with Toy Story 2 and then proved that they could deliver on a third installment with the cinematic gem Toy Story 3, which was nominated for Best Picture. And while Cars 2 may not have had the chops to ride with its full throttle predecessor, Monsters University,more than makes the grade. Creating great cinema is easy. Easy for me to say. Yet, there is one element that every great film has, regardless of it's budget, its box office take, or how many Oscars it wins...a great story filled with characters that the audience can connect with and embrace. Monsters University has both. Of course, the character part was already prefabricated in the original film, so it was easy for Pixar to mail this one in, right? It may have been easy, but as they have consistently proven in the past, Pixar never mails it in. 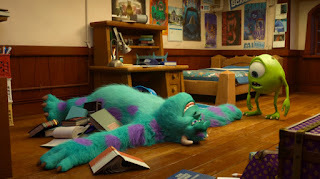 In Monsters University, the first Pixar prequel, we are introduced to the lovable Mike Wozowski and James P. Sullivan back in their college days, when they were not yet scarers and not yet even friends. In fact, when they meet, and for the first half of the movie, the two can barely stand one another. This movie shows us how the duo became friends and how they overcame all the odds to become Monsters Incorporated's best scaring team ever. Monsters University paints the portrait of Mike Wozowski as the hardest working scare program student in the monster world, who dreamed of becoming a scarer ever since an elementary school class trip to the Monsters Inc. factory. 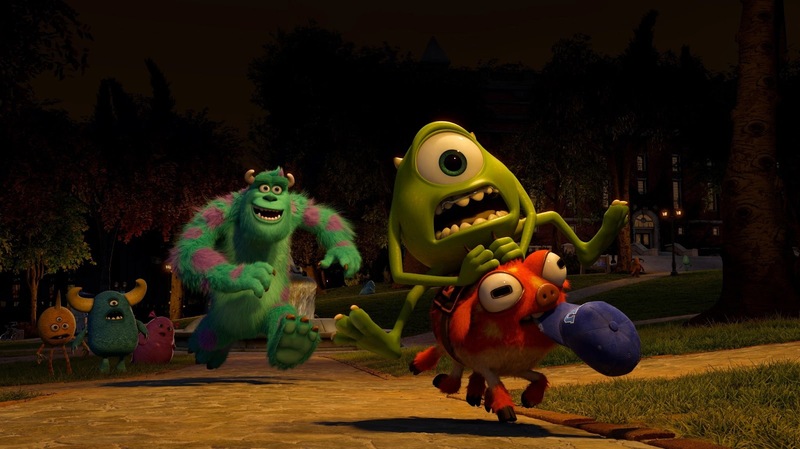 Everyone counted little Mike out and no one ever took him seriously. But his boundless enthusiasm and hard work landed him a spot in the scare program at Monsters University, where Mike was determined to make a name for himself as the best candidate the program had ever seen. He never fit in with the "cool kids" and may not have ever really been very scary, but he worked harder and longer than anyone at honing the craft of scaring. Enter Jimmy Sullivan, a hulking mass of pure bred scarer, whose family name was steeped in the great tradition of scaring. With his snarling and menacing visage and his blood-curdling roar, Sully could scare a kid straight out his pajamas. 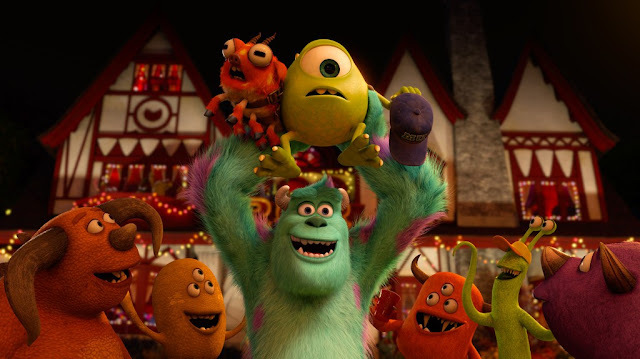 But with his cocky attitude and a lack of interest in learning the theory and techniques that make a truly great scarer, Sully soon finds out that his family name and his ability to belt out a good roar may not be enough to make it through the scare program. students and enter an MU competition called the Scare Games, the winner of which is granted entrance into the scare program. Mike and Sully must learn to work together with their team and with each other if they are to prove Dean Hardscrabble and everyone else on campus, that they are wrong about their chances of making it as scarers. 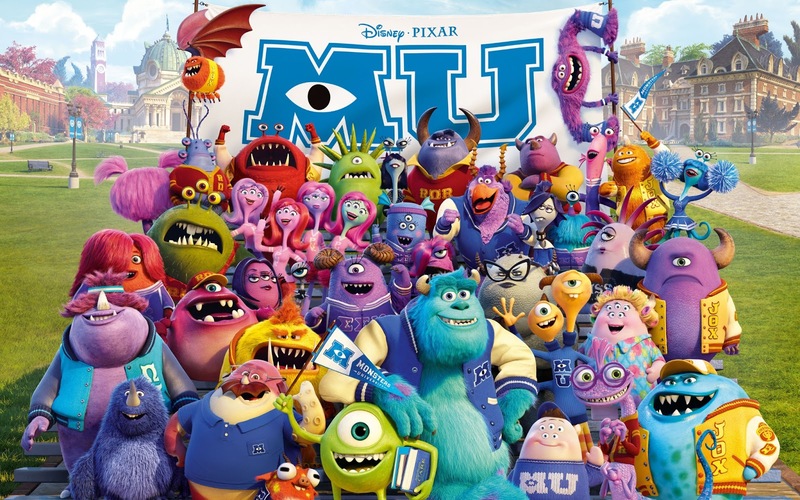 What make Monsters University a good movie is that it takes millions of little dots on a computer screen and infuses them with more humanity and emotion than many live action films can muster even in their best scenes. The story, the animation, and the vocal performances all combine to bring computer generated characters to life in a way that is hard to imagine is possible. These characters are believable because they are real. They are flawed. They make mistakes and they don't always save the day. True, the endings are usually happy, but Pixar blends human weakness and fallibility into their characters, creating a complexity and a reality that makes them transcend their computer generated limitations and brings them to life in that uniquely Pixar fashion. The result it that we can all see a glimpse of ourselves in these characters. 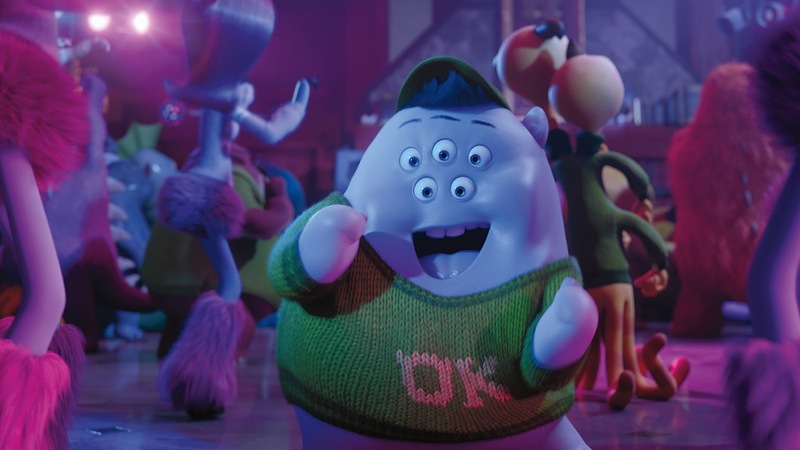 Whether it was Mike's inability to be accepted as the smallest guy in the room, or Sully's in-crowd disregard for the rules and refusal to put in the time to make the grade, these are characters you have met. They are the pimply-faced kid who was pushed into the urinal. They are the jerk wagon jock who thought he descended from the divine. Their flesh and blood counterparts may not have had one enormous eye or been covered in electric blue polka-dotted fur, but you know these characters. Some may even see the shadows of these characters every day when they look in the mirror. heroes within five minutes of the ending credits. Mike and Sully earn their spot as the top scarers and never have anything handed to them on a silver platter. It may be cliché, but even the most cynical of us has to love a story like that. 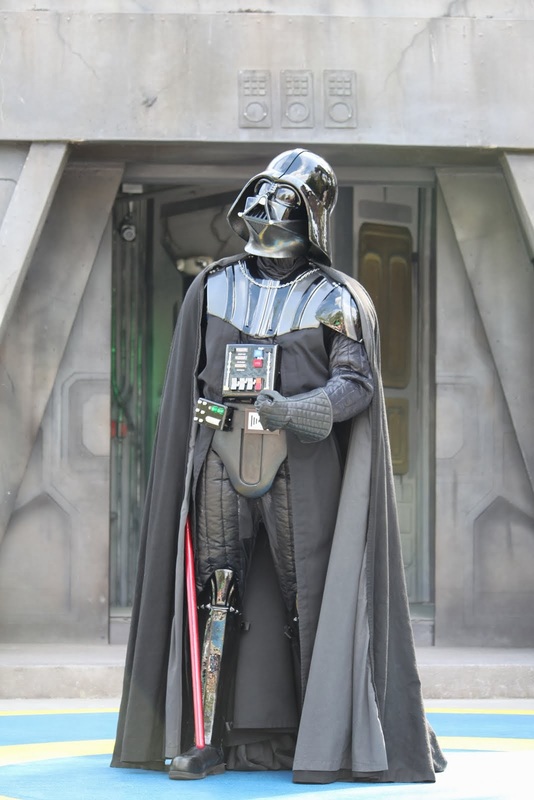 In a world that seems to value cutthroat tactics and making your way by stepping on the backs of others to get ahead, darthmaz314 applauds Pixar for telling a story about how being a decent person (or in this case, a decent monster) pays off in the end. With competition infused into nearly every form of entertainment, overwhelming us at every turn, it is important to take a step back and question what it is that we are all competing for. 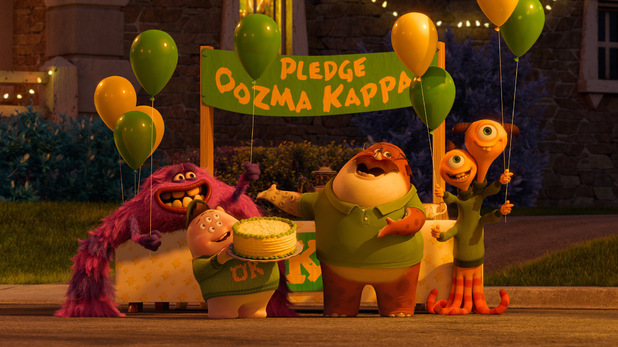 Monsters University reminds us all that it is our relationships that are the true rewards in life. Mike and Sully make be the most unlikely duo at a glance, but it is who they are inside and how they grow and work together that make them an unstoppable force in the world of scaring. 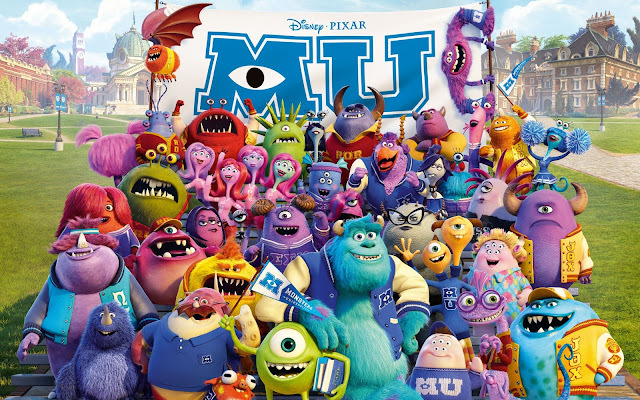 Monsters University has plenty of laughs, some for the kiddies and some only the adults will be able to catch. It has stunning visuals that will make you wonder how a computer can recreate life so vividly and crisply. It has the endearing characters we love from the original, and a few new ones that make for a solid supporting cast. 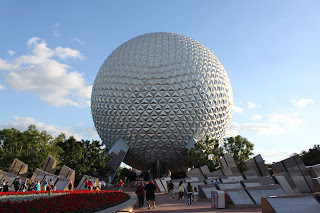 It delivers on the Disney/Pixar track record of good family entertainment and it has the previously referenced positive message. 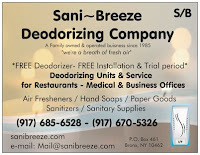 What more could you want for your family entertainment dollar?